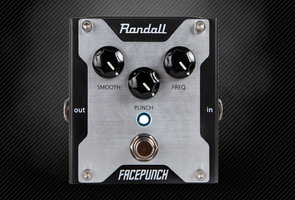 FacePunch, Overdrive pedal from Randall. 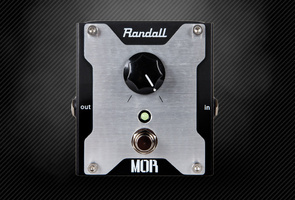 Randall expands its pedal range with the MOR, Facepunch and RGOD to be premiered at NAMM 2014. 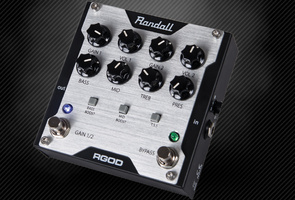 The Randall RGOD is a two-channel FET preamp pedal with a gain and volume control for each channel, 3-band EQ plus presence, and Bass Boost, Mid Scoop and Tone Stack Shift buttons It also features a true bypass switch and runs on any 9-15V power supply. Meantime, the Facepunch is an overdrive with Punch, Frequency and Smooth controls, as well as a true bypass switch. 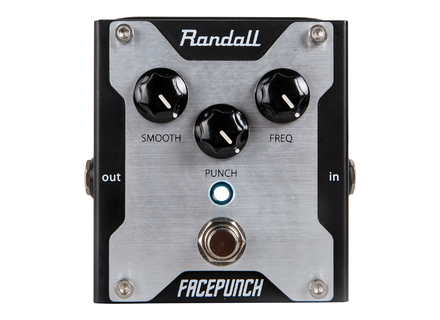 The Facepunch can be supplied with a 9V battery or an external supply. Finally, MOR is a boost pedal with one single control and a true bypass that also runs on a 9V battery or external supply. All three models will be unveiled at the NAMM Show 2014 in Anaheim, CA. [NAMM] Framus Wolf Hoffman Artist Series Framus premieres Wolf Hoffman Artist Series with a promise of innovation.